The Hon. 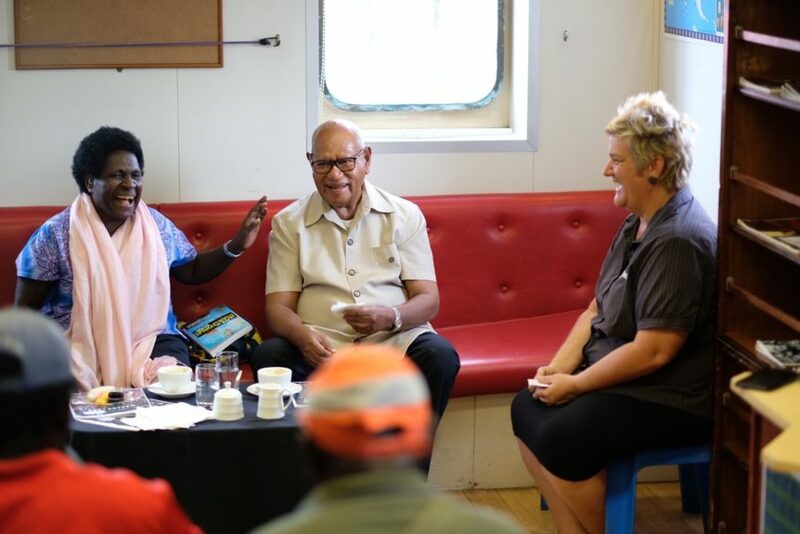 Chief Dr. John L. Momis, president of the Autonomous Region of Bougainville (AROB), visited the YWAM LIBERTY on July 30 accompanied by his wife, Lady Elizabeth. As they walked up the gangway, the courtesy flag of the AROB was already flying high on the mast. This flag was presented to the ship a few days earlier when the vice president and cabinet ministers visited the ship as part of the official launching of the YWAM LIBERTY to the AROB. The protocol of welcoming the YWAM team featured a bamboo band, speeches, traditional dancing, and a special foot-washing ceremony. “Welcome. Welcome to our Island home. You are welcome here. You’ve crossed the ocean to get here to our place to bring us good health,” were words that rang out in songs created for the occasion. 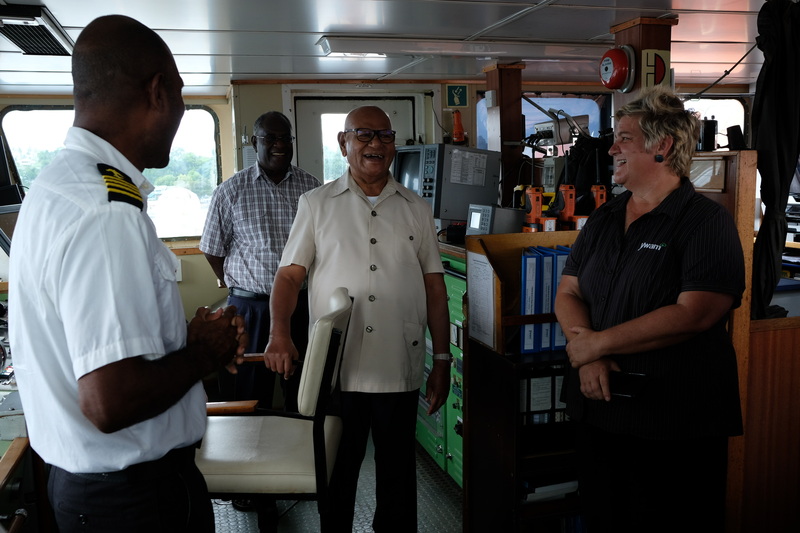 This is the m/v YWAM LIBERTY’s first visit to AROB and the president marked the occasion by his visit. His tour included the bridge, helideck, medical clinic for eye surgeries, and of course the cargo hold. The cargo hold will carry shipping containers inside which are dental clinics, pharmacies, and laboratories. There are not only medical uses for these containers, but they can also house libraries, classrooms, recording studios and woodshops for training young people in life skills. The only limit to what kinds of modules can be delivered right into villages is imagination and ingenuity. If you would like to volunteer, please click here!